Some years ago I bought a 105mm f/2.8 macro lens that I am using mainly for portrait work at weddings but I was never big in macro photography. 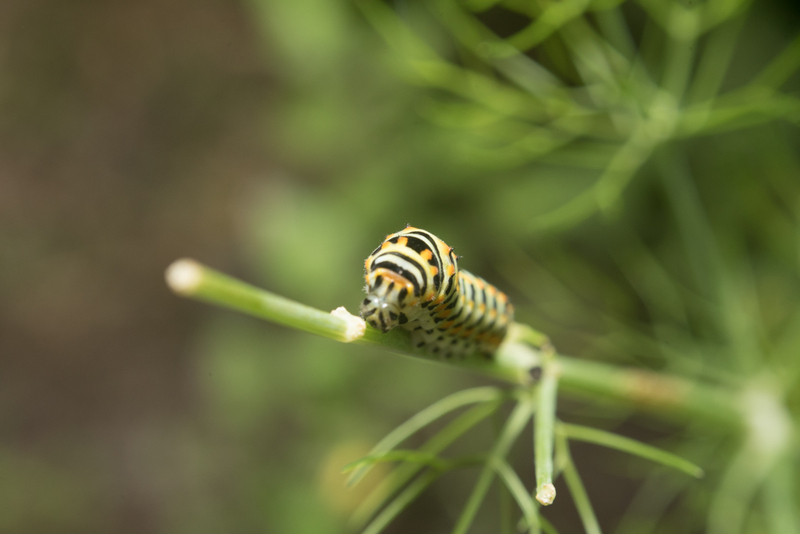 This has changed, when we started with our little garden in front of our house with all sorts of little creatures such as hummingbird hawk moths, butterflies and caterpillars. I am very pleased with the 105mm lens as I find it very sharp and good in handling. I primarily use it with manual focus as the depth of field is so shallow in the macro world that the auto focus constantly gives me bad results – maybe not the fault of the lens but the user. Also I am shooting handheld as I find it very difficult with a tripod, specially when the subject is moving. However, the 105mm lens is quite expensive and sells at approx. USD 800. A friend of mine would like to do some macro stuff and has been asking, if I could see a cheaper alternative. I started looking into it and did some play around – the outcome was quite surprising in a positive way. While doing some research two cheaper alternatives seem to be used by many people in combination with (mainly) the 50mm f/1.8. The extension tubes sell for about $100 whereas the reverse macro adapter rings go for as cheap as $10. The 50mm f/1.8 (one of my favorite lenses) sells for about $200. 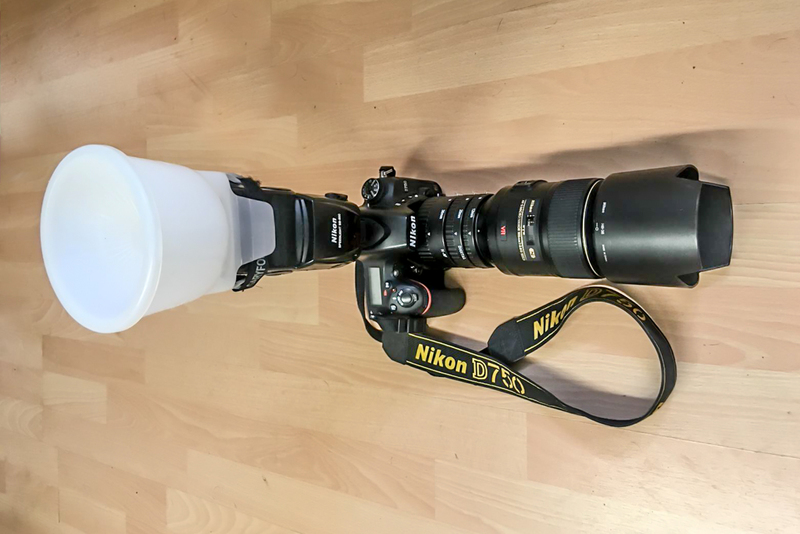 If this setup works, you (and my buddy) would be looking at a third of the price of the macro lens. Lets see. The first thing I did was taking some pictures with both the 105mm f/2.8 as well as 50mm f/1.8 lenses without the tube extensions or macro rings. The below images are all taken at the nearest manual focus distance and are not post processed – in other words straight out of camera. The pictures were taken handheld at 1/200s, f/8, ISO 1000 with firing a SB-700 flash at 1/32. 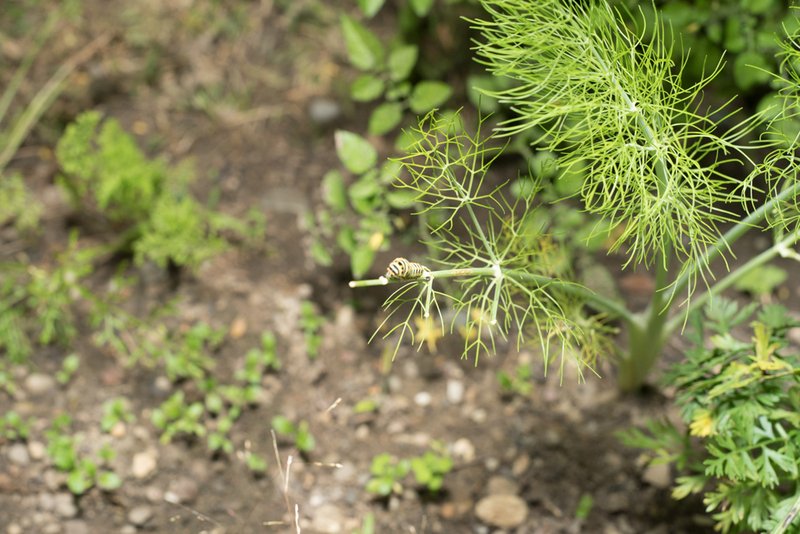 This is the picture with 50mm. 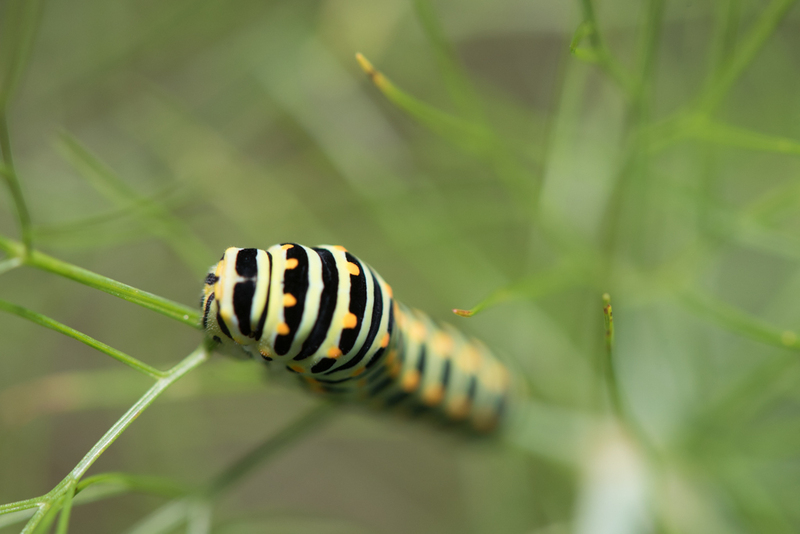 You hardly can see the caterpillar feeling fabulous in our garden eating our food. I love these guys and my wife and I happily share the plants with the little creatures. These are dovetail caterpillar by the way – in case you were wondering. This is the one at 105mm. Here another shot at 105mm from a different angle. 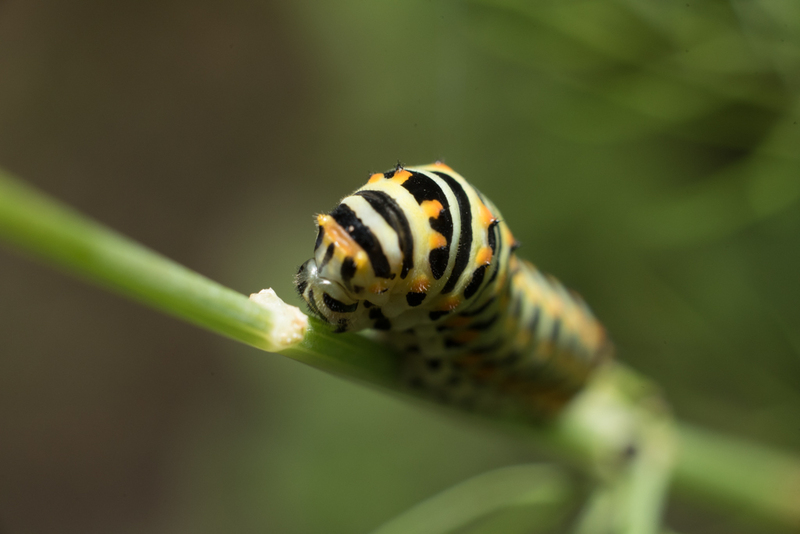 You can read here what extension tubes exactly do for you. 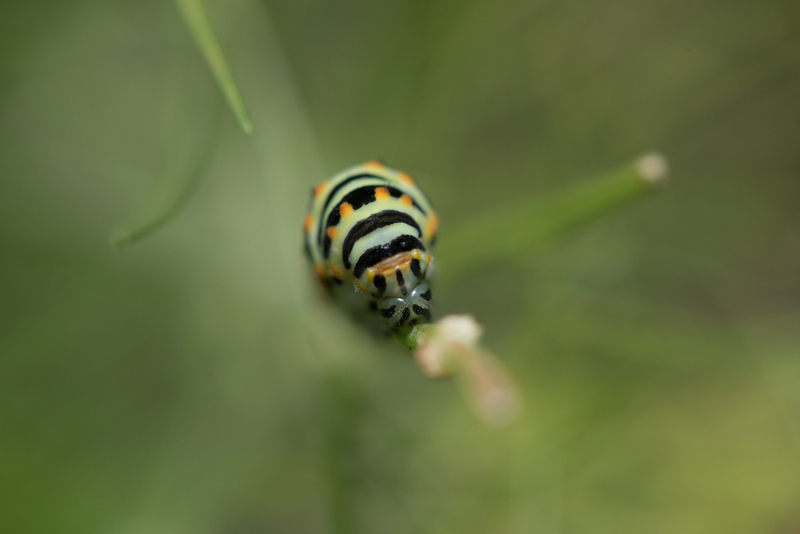 For now and to keep it simple, we just say that extension tubes make your minimal focus distance smaller, meaning that you can’t get closer to your subject – in our case closer to our new friend the caterpillar. Some extension tubes support auto focus (they are more expensive) and some don’t (they are much cheaper). I don’t use AF in macro as I usually get better results with manual focus, however its a nice feature anyways. Please note that I did not test the AF for this article. Let’s see how this extension tube looks and feels like. I first combined the 105mm f/2.8 with the extension tube with all three rings that add up to 36mm. I understand that it likely doesn’t make a lot of sense to mount extension tubes to a macro lens but since this is the first time for me using these tubes, I was very curious of what will happen. I have used the same exact settings as for the pictures without the tube. The image below is taken at the nearest manual focus distance (that is now smaller as we just have learned). The images come straight out of the camera and are not cropped. If you have a close look you may notice the increased flash performance from 1/32 to 1/16. The first image attempt was way to dark – I think that 1/16 still seems a bit to low, but I didn’t want to disturb the little guy to much. Then you likely have spotted the dark corners vignetting). I assume that this is very much dependent on the focal length. 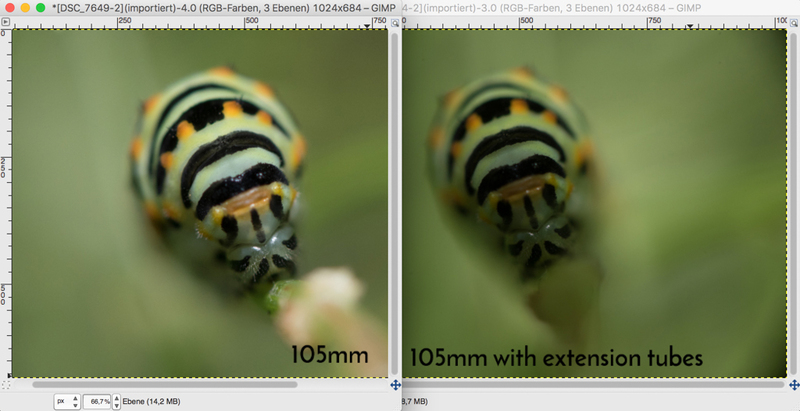 We can check that when comparing with the 50mm lens extension tube combo. Lets take a look at the extension tube in combination with the 50mm lens. Again same settings, handheld and firing the flash with 1/16. Looking at the result, the first thing that comes to my mind is – WOW. This image compared with the 50mm one without the tubes is just amazing in terms of quality and detail. You may have noticed that there are no dark edges visible which proofs our theory of the focal length. The next test I did was with the reverse adapter macro ring. As the name indicates, the revers adapter lets you reverse mount your lens. Unlike the tube extension, that works for all lenses with F-mount, the reverse adapter needs to be compatible with your front thread of your lens. If you use a filter, it’s the same size as for the filter. 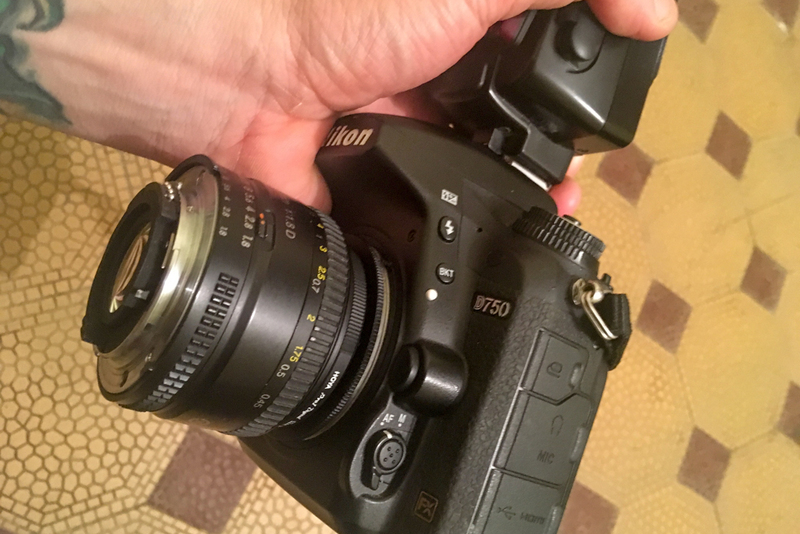 The 50mm lens for example needs a 52mm adapter ring. It think its obvious that the ring does not support auto focus and therefore one needs to focus manually. As all the other images, this one has been taken with the same settings, handheld and it’s not post processed. Also here the flash has fired at 1/16. Lets compare the 50mm with the extension tube with the 105mm without the tube to get an idea on how the 50mm tube combo setup looks like compared to the macro lens image. In my opinion the 50mm lens with tube extension can easily keep up with the macro lens by any means. I almost tend to say that the 50mm image is slightly better in terms of quality and detail – but to „proof“ this, one would need to do a couple of more shots. 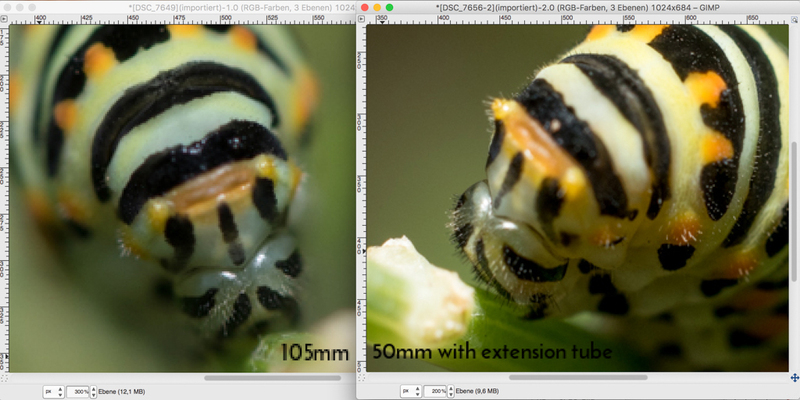 Let’s look at the two images with the 105mm – left without and right with the extension tubes. 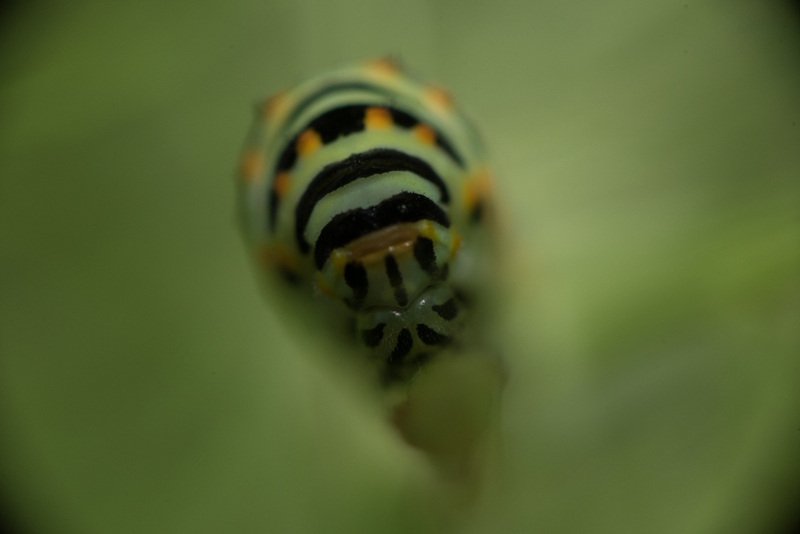 As already said, I mainly did this as I was curios – I don’t think anyone mounts „macro“ rings to a macro lens. Note that the left image has been cropped to the same size as the one with the extension tube for comparison reasons. As you likely know when cropping an image, one looses image information and having said that, if the size of the image matters, the tube in theory might be something to consider. Lets however not focus on image file sizes but rather image quality. Keep in mind that both images have been taken at the nearest focus distance with the same f-stop. Comparing the images we notice a difference in the depth of field. The image on the right has a much shallower dof compared to the one on the left. The reason for this is, that the depth of field (dof) is not only a result of the f-stop but also of the focus distance. Having said that, it seems logical that the dof is shallower as the nearest focus distance is closer when using the extension tubes. To get more detail on the image on the right side, one would need to stop further down and as a consequence loose more light and with this either push ISO or power up the flash. You can read here more thoughts about depth of field. Lets see what’s the story on these reverse mount rings. Before we start comparing we notice that the image on the right is out of focus and with this the quality of the image as such is not as good as the one on the left. This is not the fault of the adapter ring but the photographer. So we should not take this into consideration when comparing the images. I think its fair to say that the image quality of the reverse mounted lens setup is very nice as well and keeping up with the macro lens image. 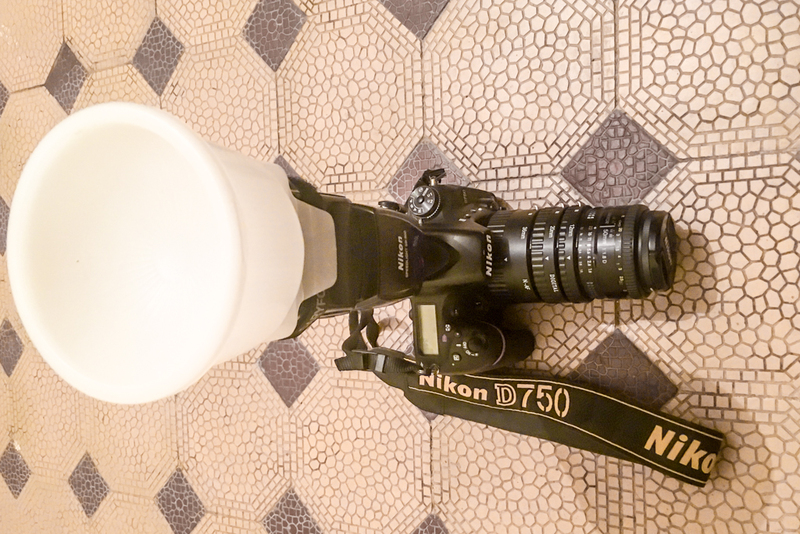 When shooting I noticed that focusing with this setup is the most difficult one and this may also explains the image quality. This is not necessarily a disadvantage but maybe just means that one would need to practice a bit. The 105mm f/2.8 is a brilliant and sharp lens and I use it for a lot of things (weddings, portraits, etc.). Therefore I love the lens and would not like to miss it by any means. However, if we only look at macro work I am extremely impressed by both the extension tube as well as the reverse adapter macro ring in combination with the 50mm f/1.8 lens. Not only by the results in terms of quality but also by the price of the gadgets compared to the 105mm macro lens. I understand that a lot of more tests would be necessary to really assess the differences in terms of quality but I see both the tubes as well as the ring as no-brainers. The only thing that might be tricky and challenging is that in all images with the tubes or ring, fewer light was available. This means that one needs to either shoot in very good light condition or use a strong flash with a good diffusor. I am not a big fan of firing flashes at animals and have no idea on how sensitive insects are in this respect.